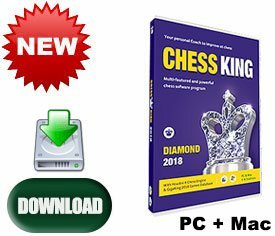 Chess King Platinum 2017 with Houdini 5 is the new improved version for 2017 of the top selling Chess King Silver 2016 and Chess King 4 chess software. 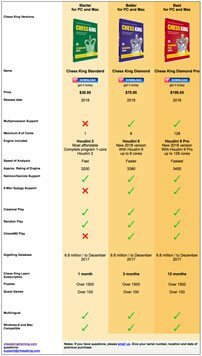 It is sold with both Mac and PC installers and allows up to 4 activations in any mix PC & Mac, for example 3 PC installations and 1 Mac installation. 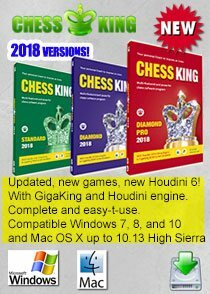 Chess King Platinum includes Houdini 5 super grandmaster engine and the new updated 2017 GigaKing game database with over 6 million games, a database of commented games and the largest correspondence database, bringing the total of games included in Chess King Platinum to 6.5 million games. 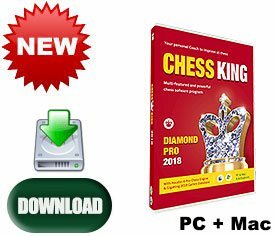 Chess King's Complete Chess Course is the quickest and easiest way to learn the chess basics, the patterns, tips, strategies, techniques which will turn you from a beginner into an accomplished chess player. 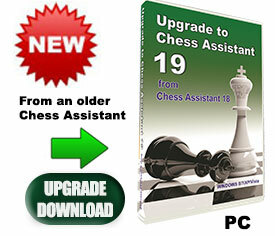 The DVD video format makes it simple to improve your chess. Just watch, listen and learn. This Course is a fountain of knowledge for parents and coaches. 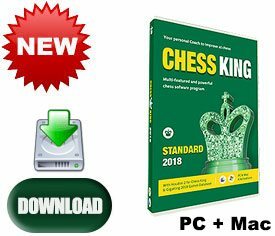 The set contains close to 5 hours of structured instruction with over 100 ready-to-use examples of sound chess fundamentals. Recommended for players Unrated to 1500 Elo. Ideal for Junior and improving players to reach club player level. 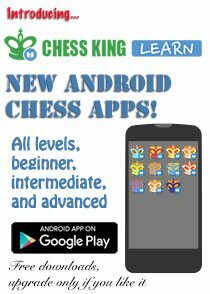 Useful for parents and coaches to gather material for their chess lessons. 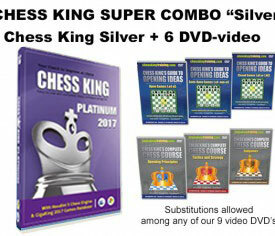 The high quality DVDs feature 12th Women's World Chess Champion and Chess Queen™ Alexandra Kosteniuk and a portion of the proceeds go to support her Chess Fund. 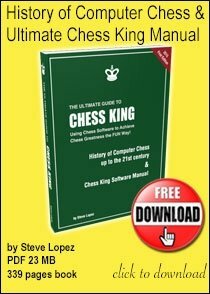 Volume 2: Basic Tactics and Strategy. You'll discover a variety of tactical weapons and strategy concepts that you could use over and over to win material and provide you with a lasting edge. 27 chapters, 120 minutes. Volume 1: Open Games 1.e4 e5. King's Gambit, Italian, Evans, Scotch, Two Knight’s, Philidor, Petroff, Ruy Lopez, Marshall and many more. 32 chapters, 160 minutes. Volume 2 of the Series: Semi-Open Games 1. e4 others. 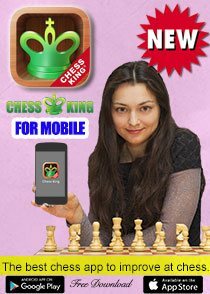 French, Caro-Cann, Pirc, Scandinaviam Alekhine, Sicilian defense (Dragon, Sveshnikov, Najdorf, Closed, Alapin, Smit-Morra), etc. 27 chapters, 160 minutes. 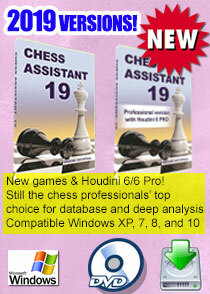 Volume 3: Closed Games 1.d4 or 1.Nf3. 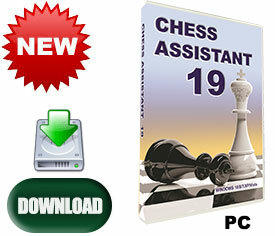 Queen's Gambit, Reti, Benko, Grünfeld, Dutch, Slav, English Opening and several Indian Defenses (Bogo-Indian, Nimzo-Indian, King’s Indian). 32 chapters, 170 minutes.